Join us for the weekly Baldy Toboggan Party with your family and friends! 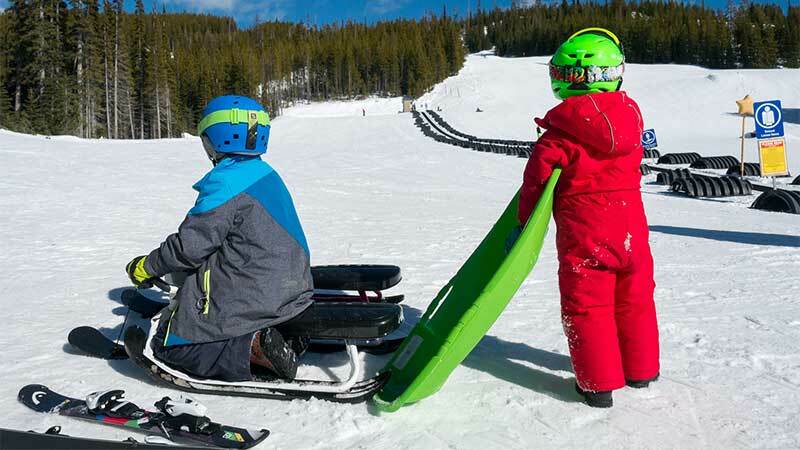 Every Saturday afternoon from 3:30 pm to 5:00 pm from December 22nd through March 30th, we’ll be opening up the Magic Carpet lift for toboggans and sleds. Access is free of charge for all ages, with no special skills required. Come and experience everyone’s favourite winter activity at Baldy Mountain Resort. End an amazing day on the slopes with fun and family. Sip a hot chocolate by our fire pit while the kids do laps on the magic carpet. We have a limited number of sleds and toboggans available from our rental shop, so to avoid disappointment it’s best to bring your own. No inflatables, thank you. Helmets are mandatory. Helmets can be rented from the Rental Shop. Please stop by the ticket office and grab a lift ticket before heading to the magic carpet area for sledding – it’s free!